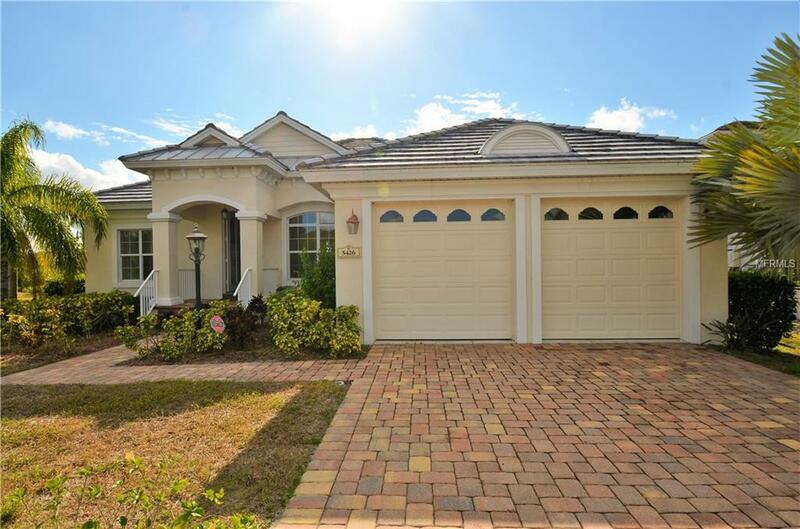 A Gorgeous Custom Rutenburg 3 Bed & 2 Bath waterfront home in the Gated Community of Riverside Point. Enjoy the Breathtaking views of the beautiful Braden River Pool side or If you choose, you can lease a dock from the association for your boat so that you can entertain yourself or guests while riding up the Braden River. Care to venture out a little further, take them out to the gulf of Mexico. This Home Features Granite Counters Gas Stainless Steel Appliances in the kitchen, laundry and baths, Tile floors in the main living areas, carpets in the guest suites and large bonus room. The home office is located in the front with features wood flooring, double pocket doors and windows which you can enjoy the birds sitting in the foliage of the 2 acre of mangroves across the way while you are working. Entertaining your guests is easy in this Large kitchen that overlooks the great room, pool area, Large Deck and the Braden River. The master suite has wood floors and again views that some dream about. The master bath has double sinks, granite countertops ,wood cabinets, garden tub, separate shower and huge walk-in closet with wooden shelves. Off of the kitchen area overlooking the river is a large bonus room leading out to a covered porch and pool area. Riverside Point is a small gated community with 37 waterfront lots, no CDD fees. Only 10 minutes to Sarasota airport, minutes to downtown, the beaches, shopping and I-75.